The PGA Tour of Australasia’s Tour School for 2013 was contested at the Peninsula Golf Club in Victoria for playing privileges on the Australasia Tour. The aim for players was a top-10 finish which earns them starts into all tournaments on the 2013 Australasia Tour schedule, including the Australian PGA Championship, the Australian Open, the Australian Masters and the Perth International. Brad Lamb, John Wade and Leigh Deagan, Brett Rankin, Grant Scott, Neven Basic, and amateurs Dimitrios Papadatos and Tom Bond finished three shots further back in a share of 3rd and rounding out the all important top-10. 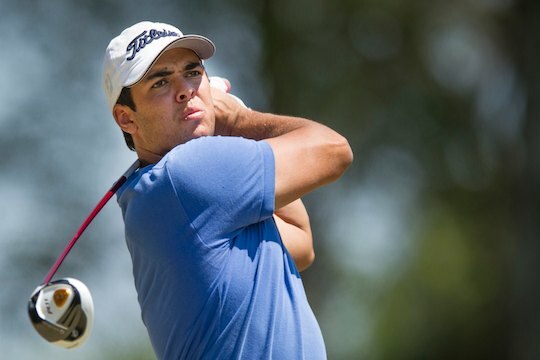 The top-65 gained Australasia Tour status of varying sorts including Jordan Sherratt (12th), former US PGA Tour player David Lutterus (13th), European Tour player Andrew Tampion (16th), Nationwide Tour player Matt Giles (18th), PGA professional Brent McCullough (25th), former Australian Amateur champion Tim Stewart (29th), Daniel Nisbet (31st), Tarquin MacManus (42nd), Matt Jager (50th), and Justin Roach (58th). An interesting statistic is the results Moore Park Golf Club achieved – a powerhouse of Sydney Major Pennants and obvious breeding ground for professionals – with five players gain cards, Troy Cox (Medalist), Grant Scott (T3rd), Dimitrios Papadatos (T3rd), Grant Thomas (41st) and Lincoln Tighe (56th).